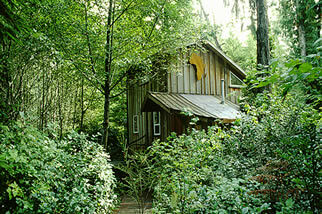 Tofino cabin in the forest, across the road from Chesterman Beach. Gourmet breakfast served. Pet friendly. 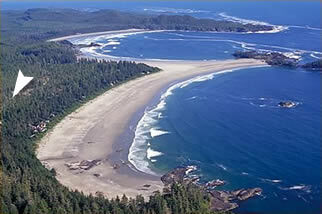 Set into the lush coastal rainforest that fringes Chesterman Beach, the African Beach B&B is a self-contained cottage just outside Tofino in British Columbia, Canada. Built in the mid-’90s, the African Beach’s blend of contemporary design and natural elements embodies the culture and spirit of the Canadian West Coast. A place of peace and retreat, a stay at the African Beach is a true immersion into life on the Island’s outer shores; it’s an entrance into a life that’s set amidst one of the most striking environments on Earth, and surrounded by the sounds of ocean surf sweeping up the beach. Stays at the African Beach, which takes its name from the owner’s Namibian roots, are complemented by gourmet breakfasts served each morning in the cabin at a time of your choice. 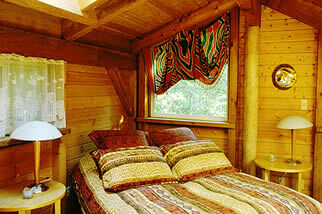 Rates are based on double occupancy. 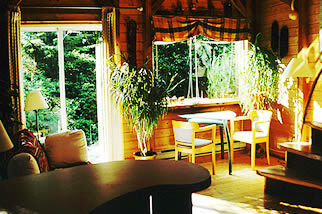 Additional guests over 15 years of age (for a total of up to four) are $20 per night.